An Evidenced-Based Social Science Methodology. FBAC is an evidence-based, structured, four-day, residential educational and experiential workshop that teaches children how to think critically and how to maintain balanced, realistic, and compassionate views of both parents. This workshop, originally developed in the USA (Warshak, RA, 2010, www.warshak.com/services/family-bridges.html) is now available in Australia with accredited facilitators, to be ordered by the family court. The FBAC workshop empowers children to reconnect with a targeted parent by addressing the effects of parental alienation and child psychological maltreatment leading to unwarranted parental rejection. This is facilitated using indirect, experiential learning approaches rather than upon therapy or focusing upon parental alienation itself. The available evidence does not support conventional therapies, ‘family counselling’, modified family therapies, or other reunification interventions based upon these therapies in cases involving severe alienation or child psychological maltreatment where the court has decided that the best interests of a child in having a relationship with a targeted parent is best served by placing the child in the sole parental responsibility and care of the targeted parent. The FBAC workshop helps children understand how views can be formed under adult influence and facilitates them to develop skills to resist outside pressure that can lead them to act against their judgment. The FBAC workshop does not change their views, beliefs or behaviour. Instead, alienated children, adolescents and teenagers learn how to apply critical thinking to events around them and in which they may be involved. This is an essential skill for teenagers. Parents learn how to sensitively manage their children’s behavior, and the family learns tools to effectively communicate and manage conflicts. Suspension of contact for a minimum 3-month period with the favoured parent is one of the essential, non-negotiable requirement of the FBAC workshop that must be included in the court orders. This enables families to safely transition and adjust to court orders that bring children and their rejected parent together. The exclusion period also provides the favoured parent an opportunity to adjust their parenting style and meet the reportable criteria for resumption of contact in an ongoing parallel parenting scenario. An aftercare protocol (ACP), implemented by a court-appointed practitioner works with the favoured parent to reorient them into a parallel parenting model. Within a court-reportable process it supports and encourages the formerly favoured parent to reform their relationship with their children on different terms. The ACP is a reportable process ordered at the same time as the FBAC workshop and runs separately. 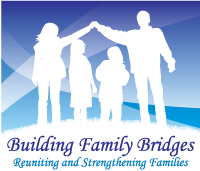 Does Family Bridges (FBAC) Work? “A sample of 83 severely alienated children and adolescents… who participated with the children in the workshop, and the professional workshop leaders, reported large improvements in the children’s alienated behavior, changes that reflected statistically significant and large effects. The children’s contact refusal with the rejected parent dropped from a pre-workshop rate of 85% to a post-workshop rate of 6%. Depending on the outcome measure, between 75% and 96% of the children overcame their alienation”, (Warshak RA. ,2018, p. 1). How Do I Get an FBAC Workshop Ordered for Myself and My Children? Each case involving parental alienation or child psychological maltreatment is different so there are many pathways to an FBAC workshop. The FBAC workshop may not be suitable in all cases. The best way forward to determine eligibility is a consultation with me as the FBAC Australian Administrator (contact me). Within the framework of a specific consultation process you and your legal counsel will be provided with the necessary information to present to the family court, legal counsel and family consultants and single expert witnesses to establish FBAC and the ACP protocol as a best practice, evidence-based intervention in your case. The FBAC workshop and the ACP is typically introduced AFTER the court has determined that the best interests of a child in having a relationship with a targeted parent is best served by placing the child in the sole parental responsibility and care of the targeted parent. However, there may also be situations where information about FBAC and the ACP can be introduced to family consultants and single expert witnesses to assist them in making their recommendations. Family consultants and single expert witnesses can be in a difficult position of being reluctant to recommend changes to parental care and responsibility unless they are aware of a safe and effective means of doing so, even though they may appreciate that forthright recommendations and action is required in cases of severe alienation and child psychological maltreatment. Introducing such information to the experts appointed in your case need to be done sensitively and carefully, observing that their sole focus is upon your children, not upon you. Sometimes it may be best to cross-examine expert witnesses to determine if their recommendations may change if they were aware of a safe and effective intervention such as the FBAC workshop targeted parents and their children, and the ACP for the favoured parent. Should I be Concerned about Negative Publicity about FBAC? Yes, you should be concerned about any information adverse or otherwise about something as critical to you and to your children’s welfare as the FBAC workshop. The FBAC workshop has been the subject of research into its safety and effectiveness since 2010. Unlike other more informal interventions often ordered by the court, FBAC research and its methodology have been published in peer-reviewed journals and you should make yourself aware of it. This information is part of what we provide to you and your legal counsel to assist the court in deciding the best intervention in your case. No, some of the publicity about FBAC is without any basis and contradicts the published, peer-reviewed information that has already been critiqued by experts before being published. For example, some news reports and social media comments claim that FBAC ‘de-programs’ children and that children are coerced and prevented from leaving the program. Such claims are incorrect. The FBAC workshop is facilitated in an educational setting, not a mandated therapeutic setting. Children are not instructed into changing their views-they change their views once they re-engage with their empathy and the capacity for critical thinking. “Children who remain alienated after the workshop are prone to complain about the experience, especially when aligned with the parent who opposed their participation in the workshop… In addition to the children’s positive ratings, every parent reported that the professionals treated their children benevolently, and no parent perceived any mistreatment of any child. These data suggest that anecdotal reports to the contrary are best regarded as manifestations of a few children’s continued alienation and condemnation of anyone who fails to endorse their rejection of a parent”, (Warshak, RA. , 2018, p. 19). In some cases, alienated children and their favoured parent may have breached the exclusion period during or after the FBAC workshop and therefore may have adversely affected the outcome before the workshop gains could be consolidated. It is also important that the gains from the FBAC workshop are consolidated with ongoing support once the workshop is completed. “Based on the reports of the children, the parents, and the workshop leaders, this study does not support allegations that participating in the Family Bridges workshop traumatises children or is coercive and punitive…To the contrary,…most of the children had positive feelings about the experience and about the workshop leaders”, (Warshak, RA. , 2018, p. 18). Baker, AJL 2014, ‘Parental alienation as a form of psychological maltreatment: Review of theory and research’, Maltrattamento e abuso all’infanzia. Kelly, JB 2010, ‘Commentary on “Family Bridges: Using Insights from Social Science to Reconnect Parents and Alienated children” (Warshak, 2010). ‘, Family Court Review, vol. 48, no. 1, p. 81. Klika, JB & Conte, JR 2018, The APSAC handbook on child maltreatment, 4 edn, American Professional Society on the Abuse of Children handbook, Sage Publications, Thousand Oaks, Calif.
Lorandos, D., Bernet, W., & Sauber, R. S. (2013). Parental Alienation: The Handbook for Mental Health and Legal Professionals. Springfield, Illinois, USA: Charles C. Thomas Publishers. Warshak, RA 2018, ‘Reclaiming Parent–Child Relationships: Outcomes of Family Bridges with Alienated Children’, Journal of Divorce & Remarriage, pp. 1-23. Warshak, RA 2016, ‘Risks to Professionals Who Work With Troubled and Alienated Parent-Child Relationships’, The American Journal of Family Therapy, vol. 44, no. 3, pp. 111-28. Warshak, R. A. (2015). Parental Alienation: What it is; How to Manage it. (Vol. 27). Dallas, Texas, USA: Journal of the American Academy of Matrimonial Lawyers. in press. Warshak, R. (2010). Family Bridges: Using Insights From Social Science to Reconnect Parents and Alienated Children (Vol. 38). New York, USA: Family Court Review.